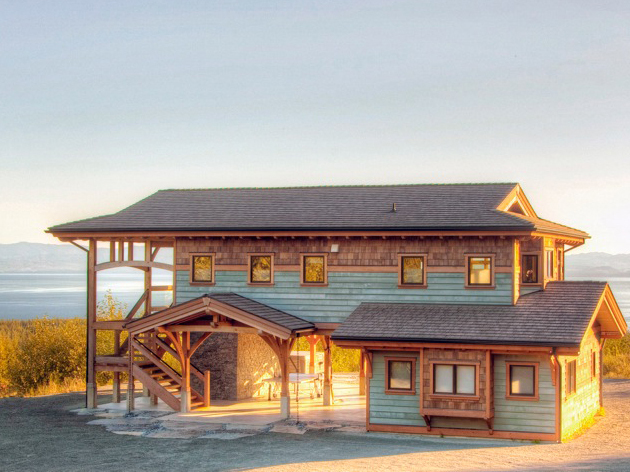 Ocean View Luxury Timberframe Home. Enjoy vaulted ceilings,hardwood and basalt tile floors throughout, 3 bedrooms, 2 bathrooms, complete stainless steel kitchen, modern furnishings and a hot tub with a view. Sleeps up to 8 or 10 with children. Close to China Beach, Mystic Beach and just up the road from Jordan River. 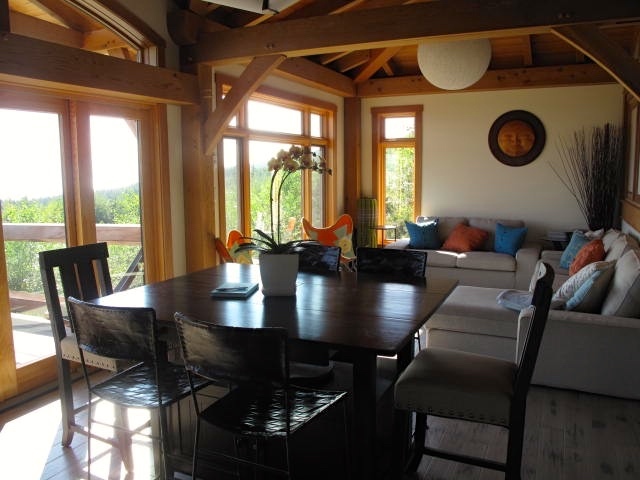 A Vacation Home rental that has a distinct West Coast style and a zen like feel. All the amenities you will need to enjoy your West Coast Adventure. Now featuring locally made shampoo, conditioner and body wash from @saltspringsoap ❤️ Amazing smelling products to make your stay even more special! 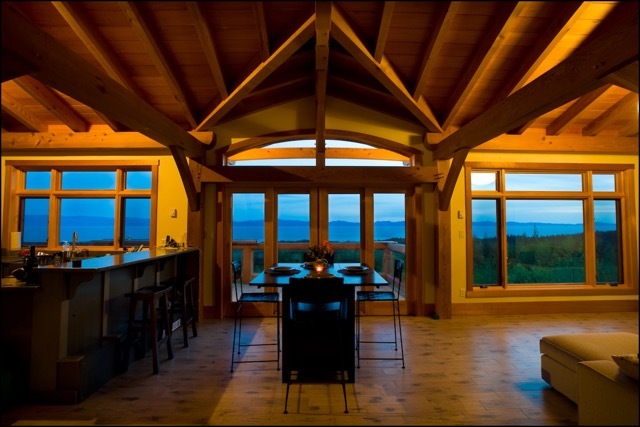 Ocean View Luxury Timberframe Home. Enjoy vaulted ceilings,hardwood and basalt tile floors throughout, 3 bedrooms, 2 bathrooms, complete stainless steel kitchen, modern furnishings and a hot tub with a view. Sleeps up to 8 or 10 with children. Close to China Beach, Mystic Beach and just up the road from Jordan River. The large 8 person hot tub and outdoor Vancouver Island Granite shower is also located on the ground floor. 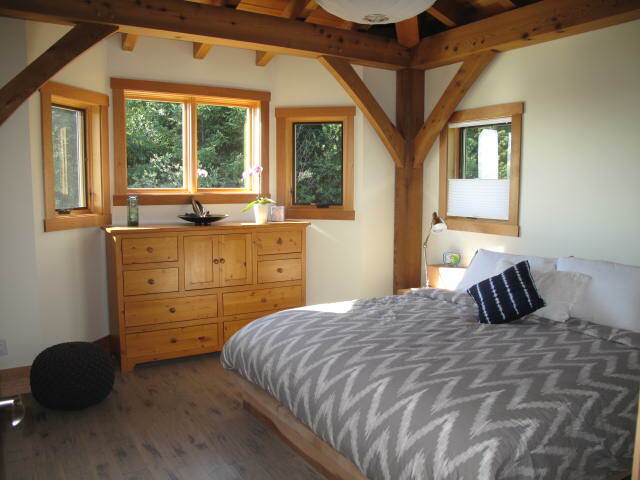 Our Purcell Timberframe home is cozy enough for a romantic get away for 2 yet can accommodate up to 8 comfortably in 3 bedrooms and the studio. There is enough room for the whole family or group of friends to enjoy the common areas, yet the design of the home allows for room to have your own space to unwind. The natural elements of the building materials, architecture and decor work harmoniously to allow you the ideal space to rebalance and re-energize. We believe that a good retreat starts with multiple nights of deep sleep, for this reason we have selected our bedding to be as natural, eco-conscious and comfortable as possible. The bed frames are hand crafted of cedar wood, our mattresses comfortable and our bedding Organic cotton. The zen like minimalist decor, and the quiet forested neighbourhood will allow you to have some of the deepest sleeps of your life.